Take care so that the vehicle is not scratched. It is easy to use and useful because it is easy to peel off and has little glue. This review is about item#7214173. This review is about item#6848694. It is used for packing. 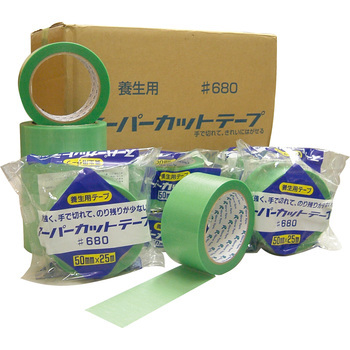 I bought another curing tape once, but because I was unpopular at the scene, I returned to Linley. It will be saved if it is a little cheaper. I bought it several times, but the usability is good. It is a good evaluation also to come early. I am saved because there are many quantities and it is cheap and quality is also good. I use it to wrap the product. The price is cheap, so it will be delivered so it's convenient as you do not have to go buy one at a time. Although it sticks firmly, even if you peel it off, I am very happy without glue. It is also a good place to easily cut by hand. It is very smooth and easy to use as attaching and peeling off. It is convenient to use for various purposes. Work processing at site, prevention of diffusion of powder, etc. This review is about item#06848694. There is no glue marks and it can peel cleanly, paste adhesion is also sufficient. I use it when painting. I always use it, but I am satisfied with no traces left. It is weakly sticky, and no sticky part remains. I have been buying Ripi many times. It is easy to use because there is no adhesive residue. It is easy to cut and there is no useless stickiness. This review is about item#07214173. I regularly use it at the time of maintenance so I am subscribing.